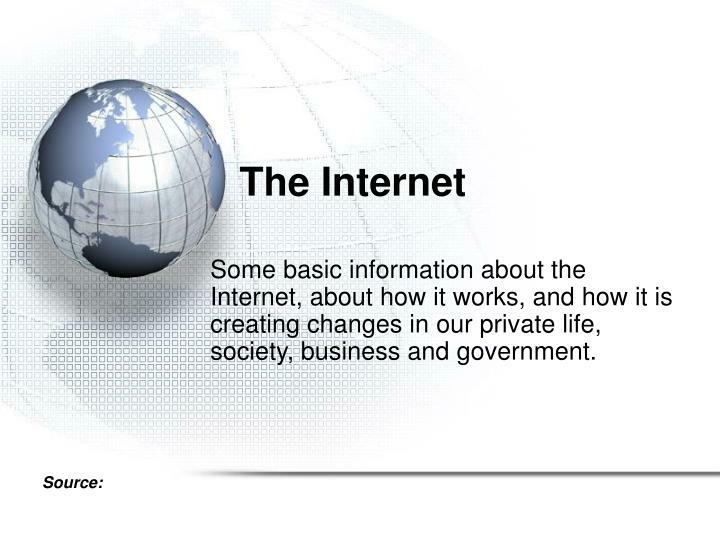 Some basic information about the Internet, about how it works, and how it is creating changes in our private life, society, business and government. 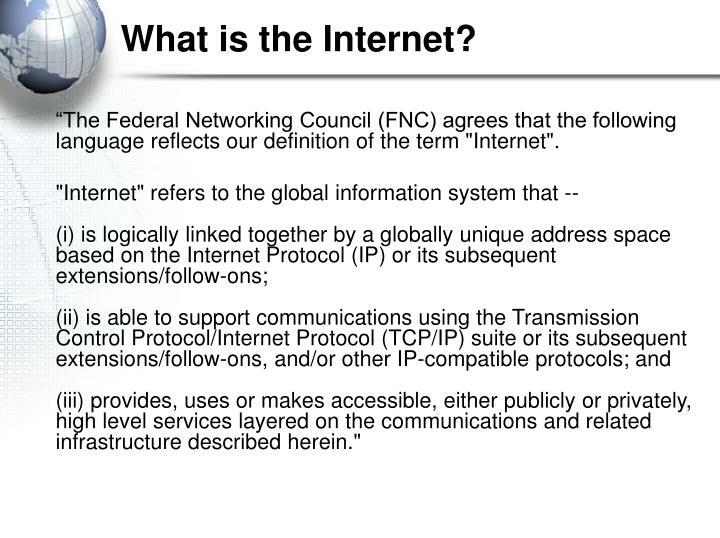 “The Federal Networking Council (FNC) agrees that the following language reflects our definition of the term "Internet". 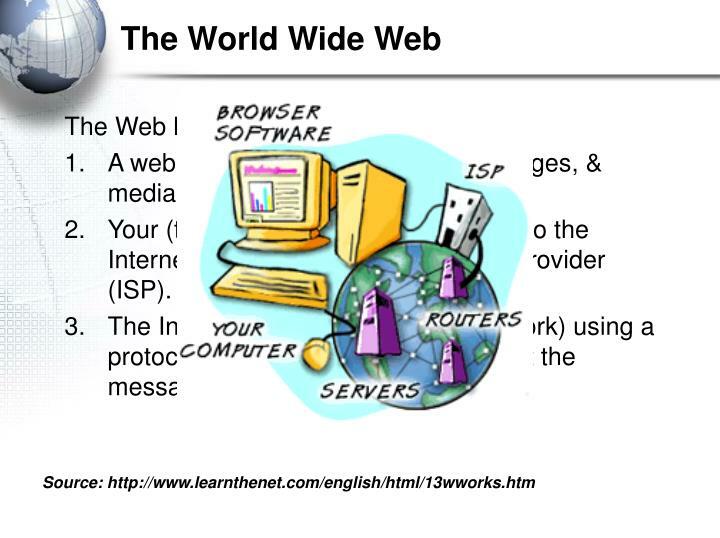 "Internet" refers to the global information system that -- (i) is logically linked together by a globally unique address space based on the Internet Protocol (IP) or its subsequent extensions/follow-ons;(ii) is able to support communications using the Transmission Control Protocol/Internet Protocol (TCP/IP) suite or its subsequent extensions/follow-ons, and/or other IP-compatible protocols; and (iii) provides, uses or makes accessible, either publicly or privately, high level services layered on the communications and related infrastructure described herein." 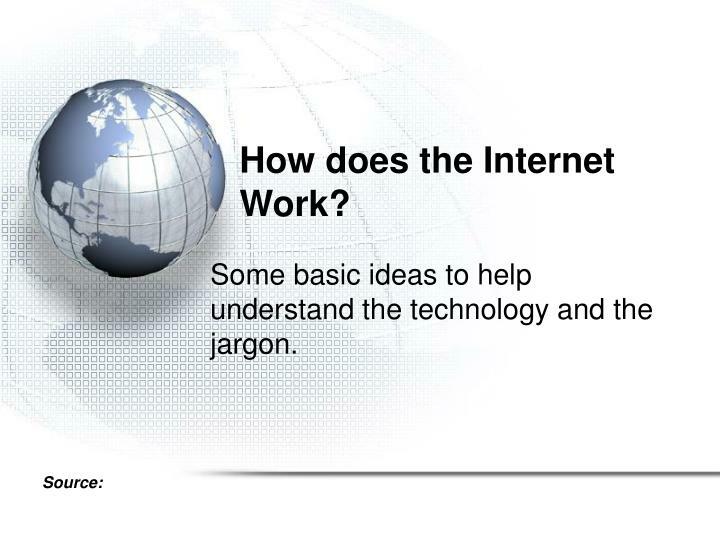 Some basic ideas to help understand the technology and the jargon. Internet is a massive connection of computers. 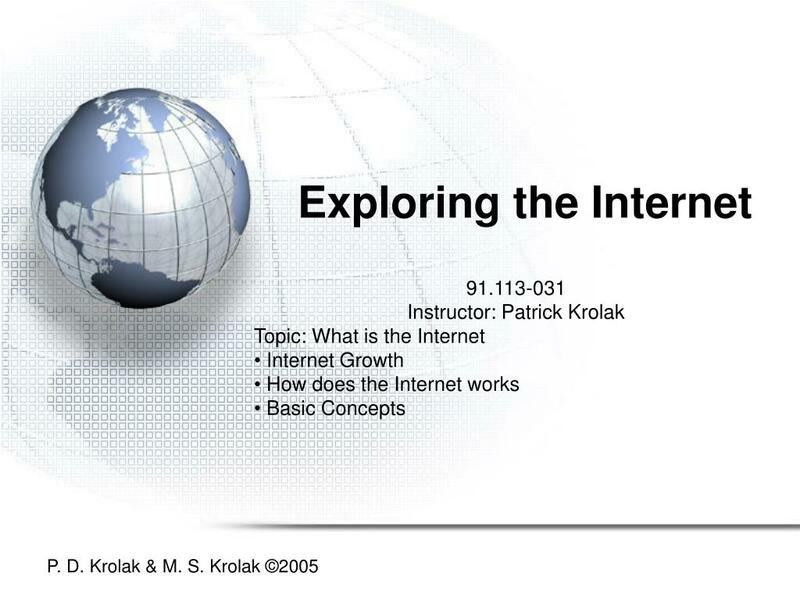 The Internet is not a single network but an inter connected collection of thousands of computer networks. 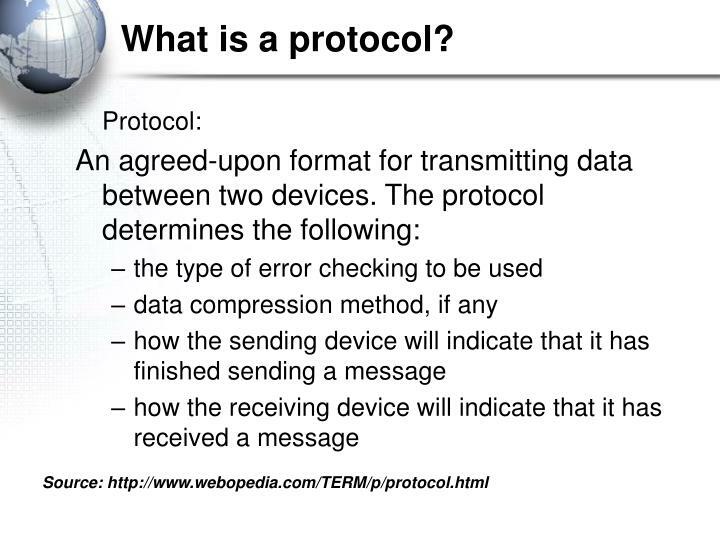 The networks use a standard computer protocols called TCP/IP. 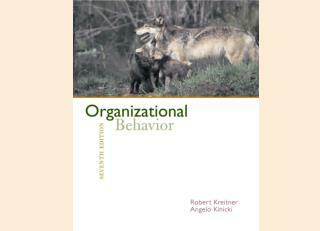 The other – answers the question, provides information, data, or pages that it sends back to the client. This computer is called the server. 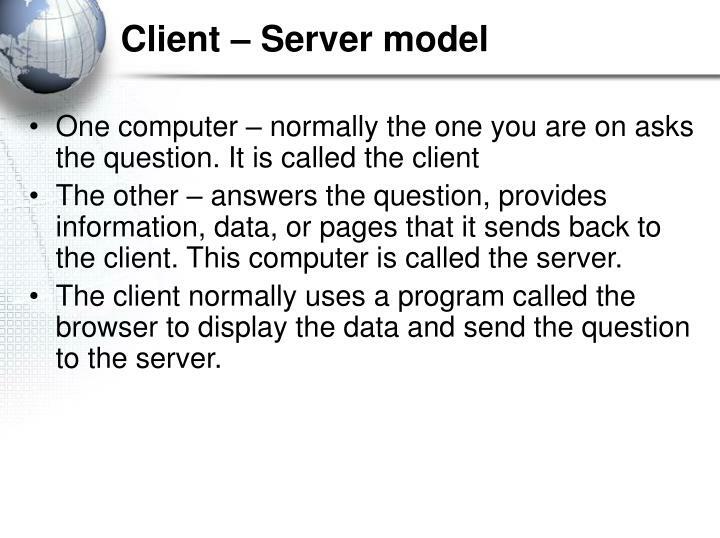 The client normally uses a program called the browser to display the data and send the question to the server. 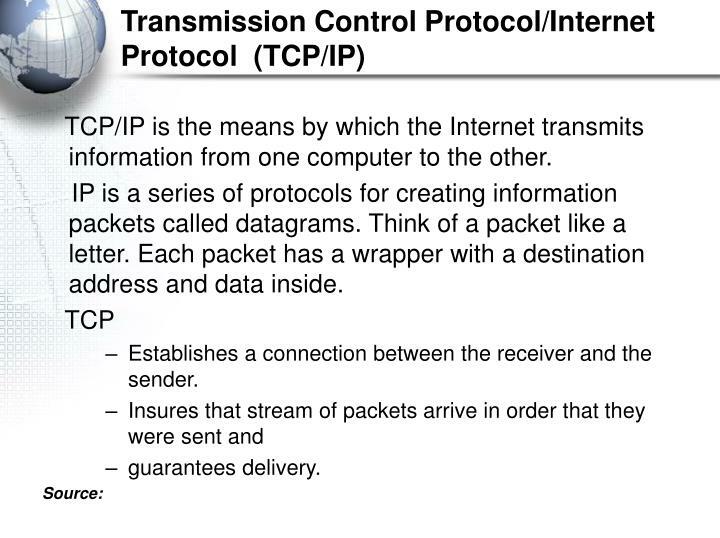 TCP/IP is the means by which the Internet transmits information from one computer to the other. 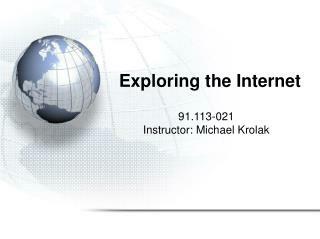 IP is a series of protocols for creating information packets called datagrams. 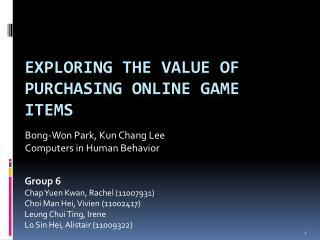 Think of a packet like a letter. Each packet has a wrapper with a destination address and data inside. 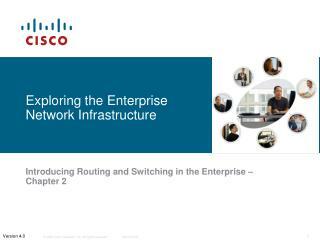 Establishes a connection between the receiver and the sender. 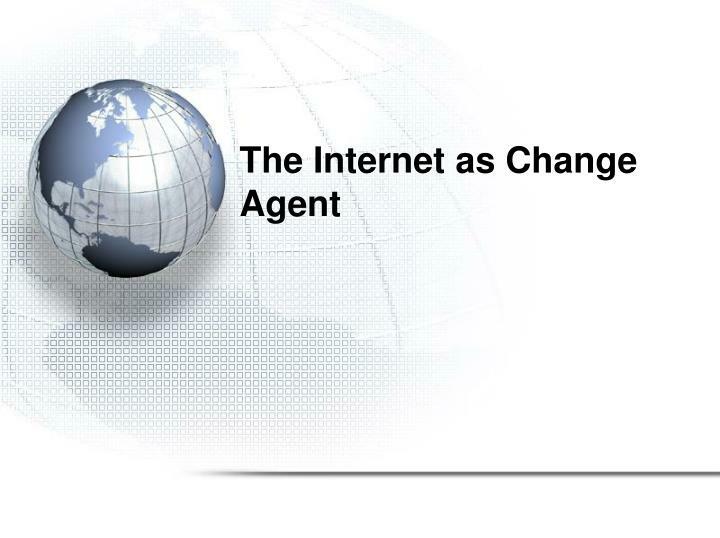 Your (the client) computer connected to the Internet through an Internet Service Provider (ISP). The service is provided by the server. 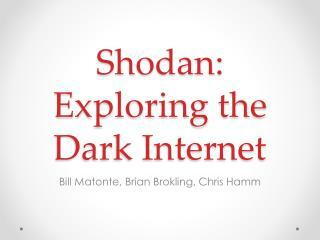 The request and the answer are broken into packets of information and sent over the Internet. you might click on the phrase Violin Concerto in A Major, which could display the written score or perhaps even invoke a recording of the concerto. Clicking on the name Mozart might cause various illustrations of Mozart to appear on the screen. 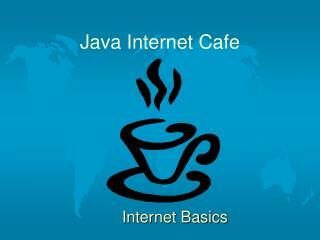 The icons that you select to view associated objects are called Hypertext links or buttons. 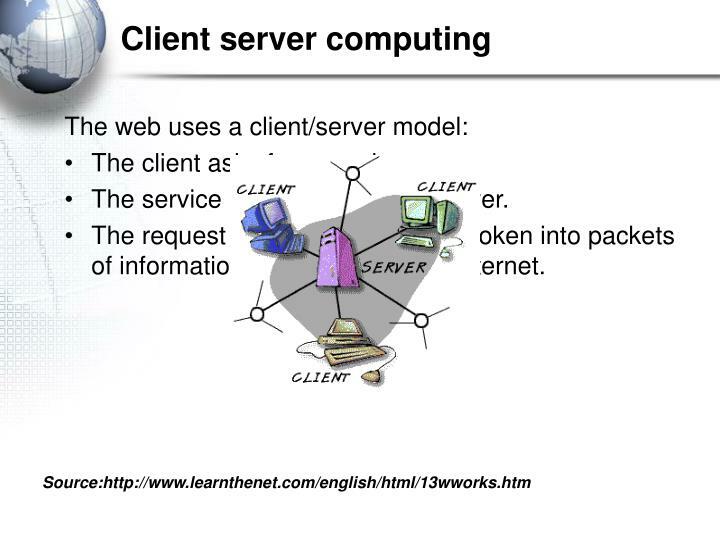 Thus a URL defines a service (protocol) to be preformed, the location on the Internet of the Server and the path to the file on Server associated with the service. 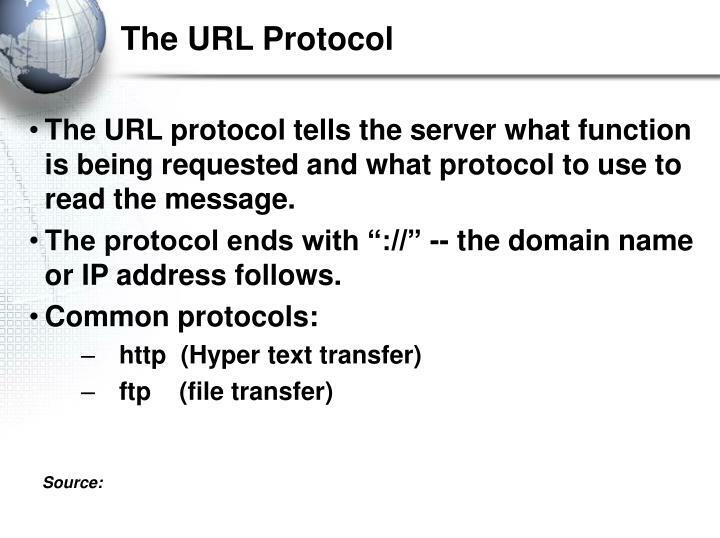 The URL protocol tells the server what function is being requested and what protocol to use to read the message. 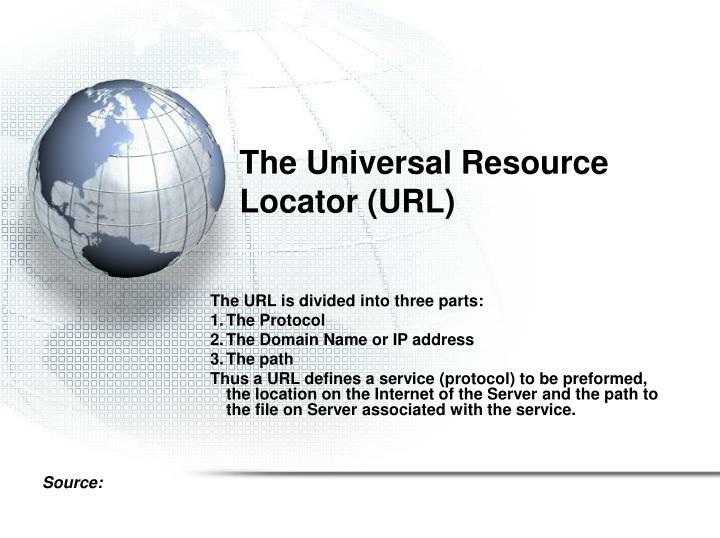 The protocol ends with “://” -- the domain name or IP address follows. 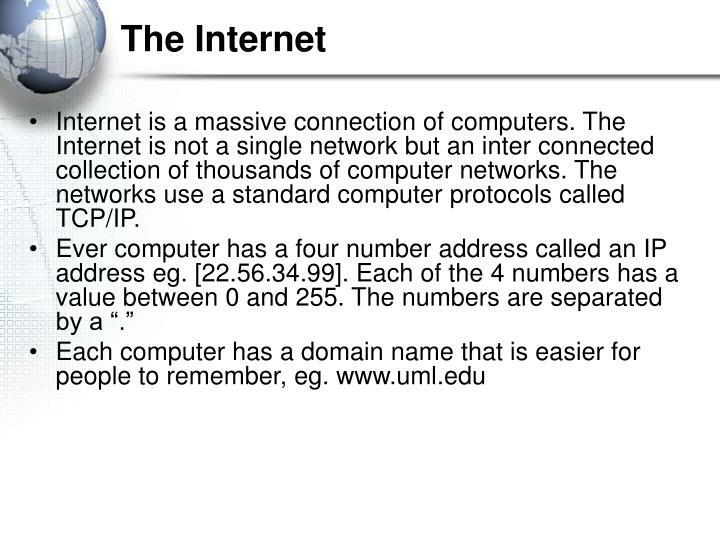 The Internet is able to locate documents because every computer connected to the Internet has an address, the IP address made up of a 4-tuple. 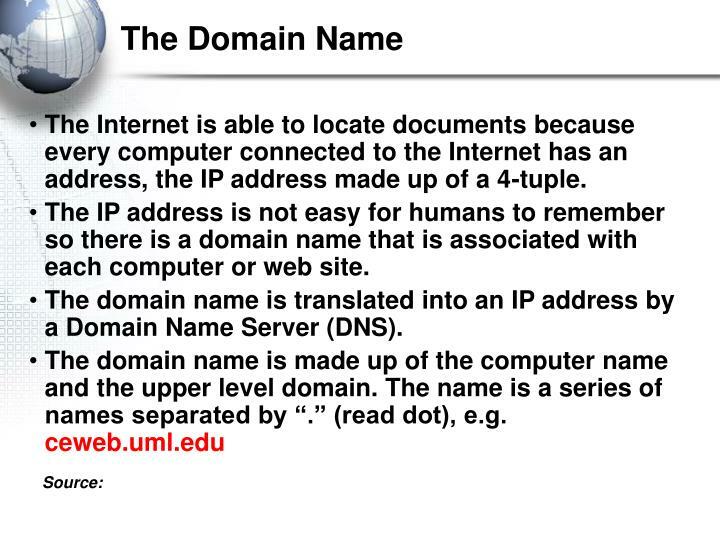 The IP address is not easy for humans to remember so there is a domain name that is associated with each computer or web site. 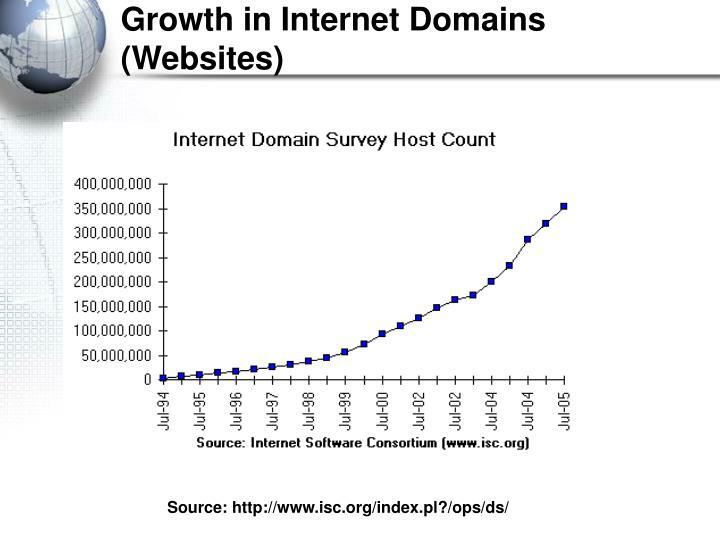 The domain name is translated into an IP address by a Domain Name Server (DNS). 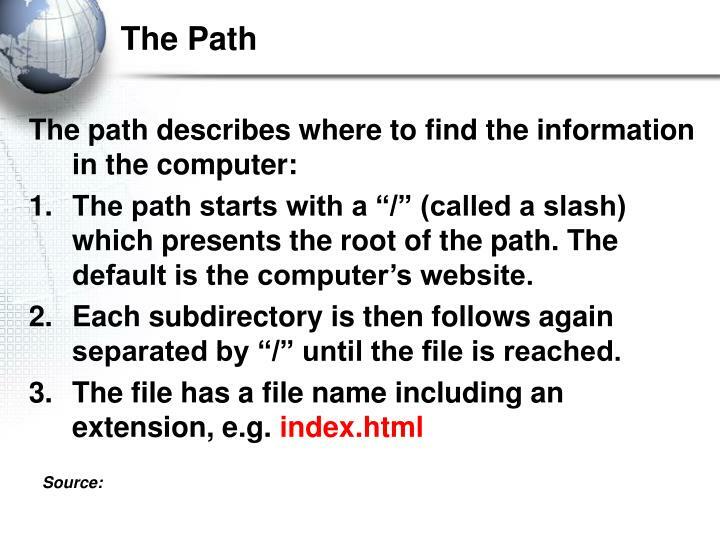 The path starts with a “/” (called a slash) which presents the root of the path. The default is the computer’s website. Each subdirectory is then follows again separated by “/” until the file is reached. 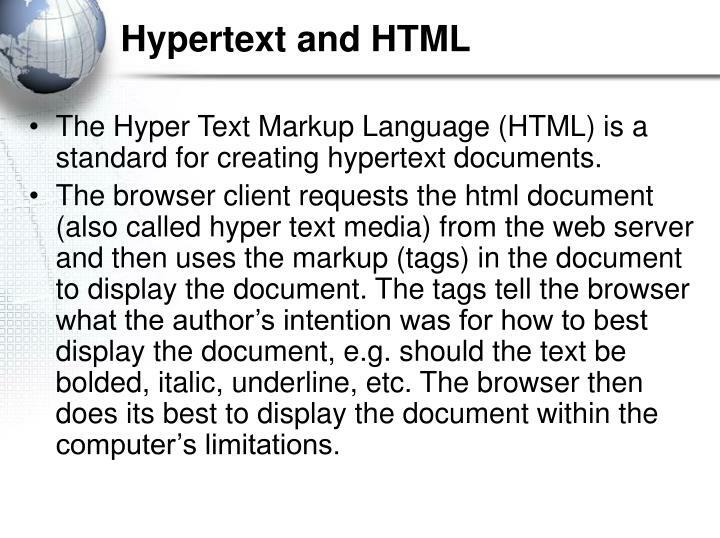 The Hyper Text Markup Language (HTML) is a standard for creating hypertext documents. 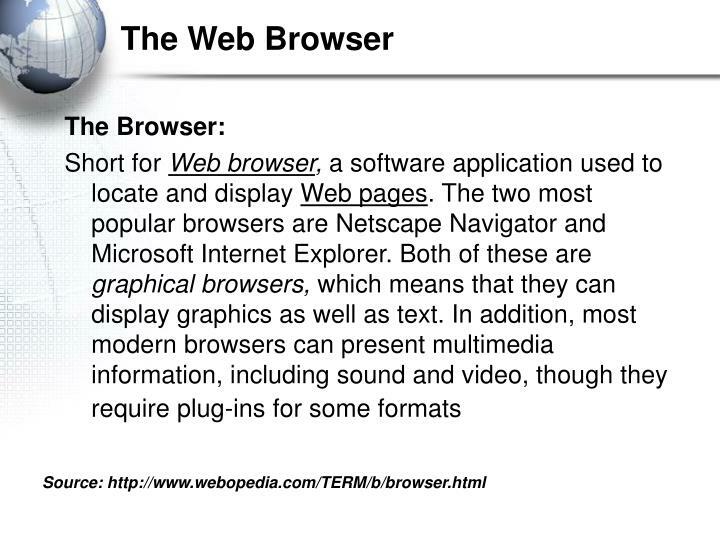 The browser client requests the html document (also called hyper text media) from the web server and then uses the markup (tags) in the document to display the document. 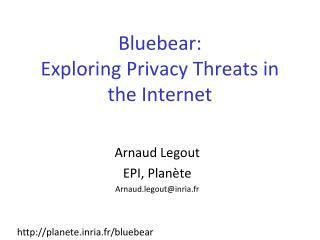 The tags tell the browser what the author’s intention was for how to best display the document, e.g. 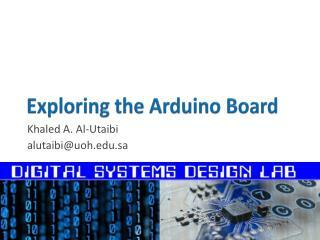 should the text be bolded, italic, underline, etc. The browser then does its best to display the document within the computer’s limitations. 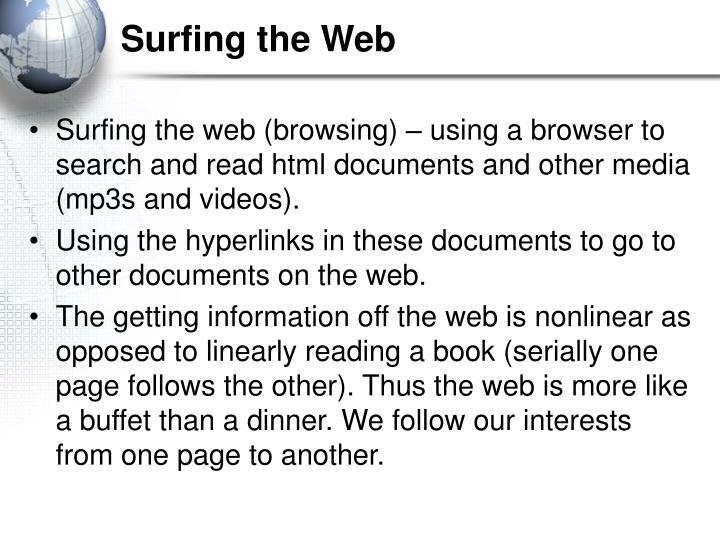 Surfing the web (browsing) – using a browser to search and read html documents and other media (mp3s and videos). 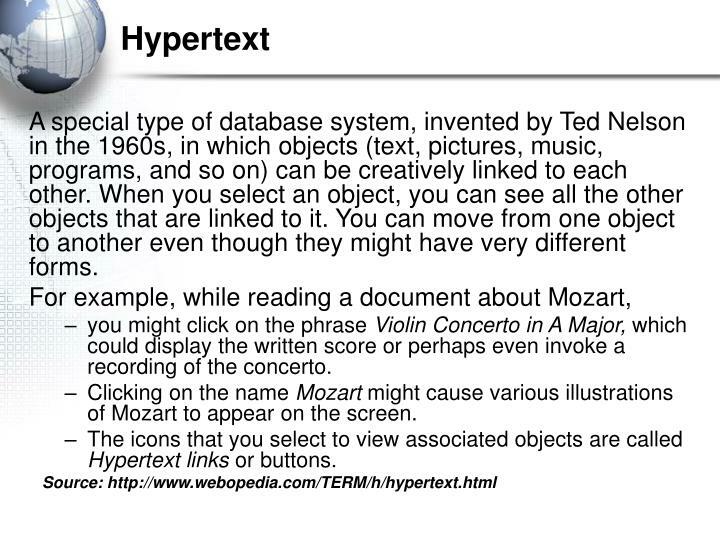 Using the hyperlinks in these documents to go to other documents on the web. 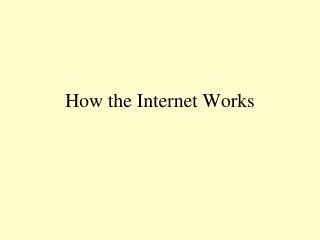 The getting information off the web is nonlinear as opposed to linearly reading a book (serially one page follows the other). Thus the web is more like a buffet than a dinner. We follow our interests from one page to another. The web and other Internet innovations have opened the door to a world of communication and learning that can be compared to that of the discovery of the printing press. 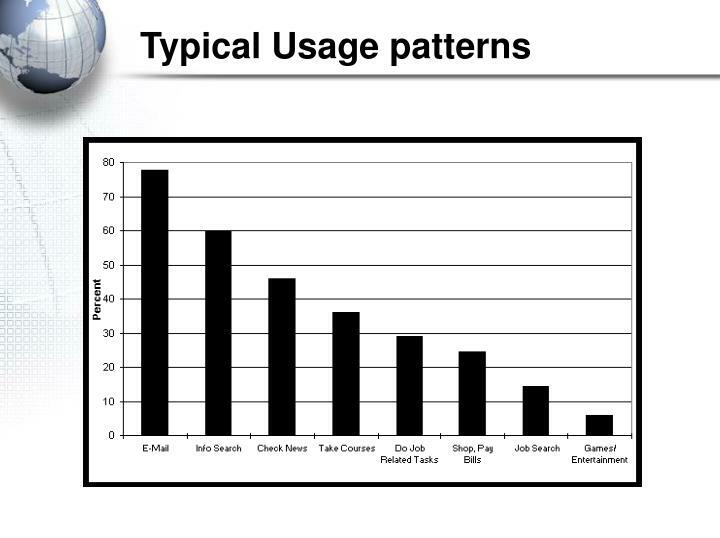 Email, newsgroups, chat, and instant messaging (IM) are widely used and children 8-12 and teenagers are the using these tools on a daily basis. 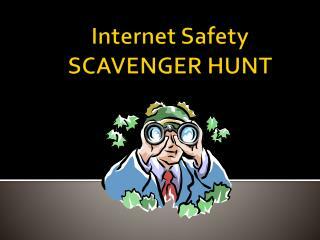 Blogs that record thoughts and newsgroups are widely used by men 30-50. 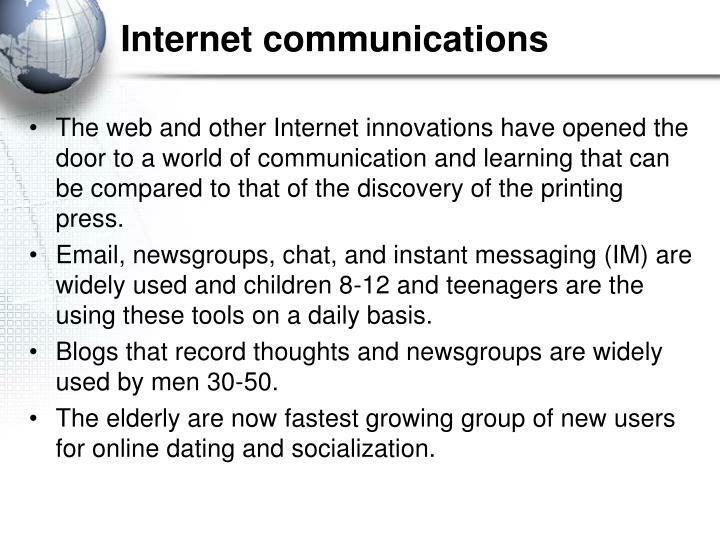 The elderly are now fastest growing group of new users for online dating and socialization. 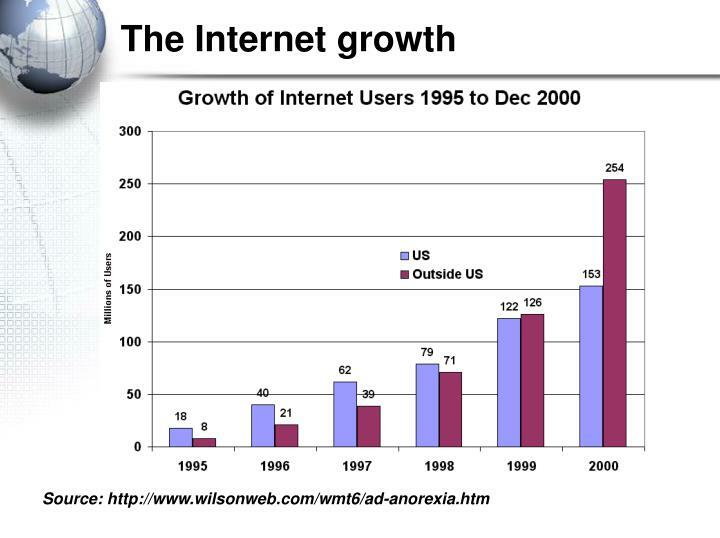 The blogosphere may be a baby, but it is booming, Web trackers say. 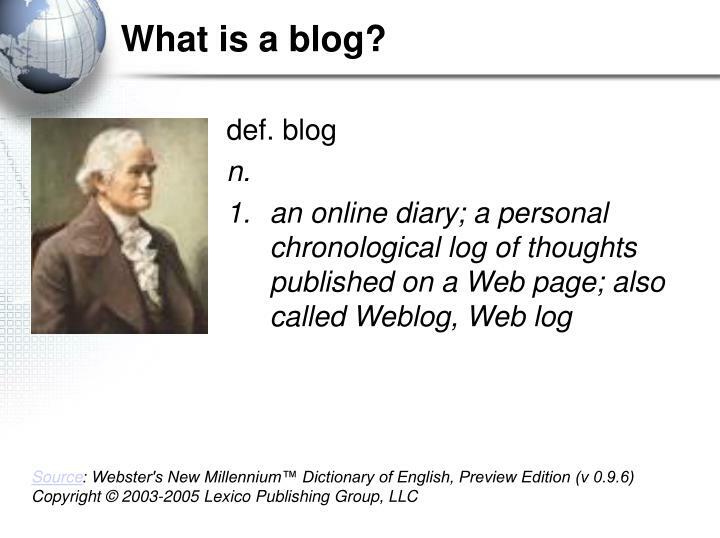 Although the concept of "blogging" didn't exist a decade ago, today the number of blogs doubles every five months. And a new blog is created almost every second — that's more than 80,000 every day, according to the blog tracking group Technorati. 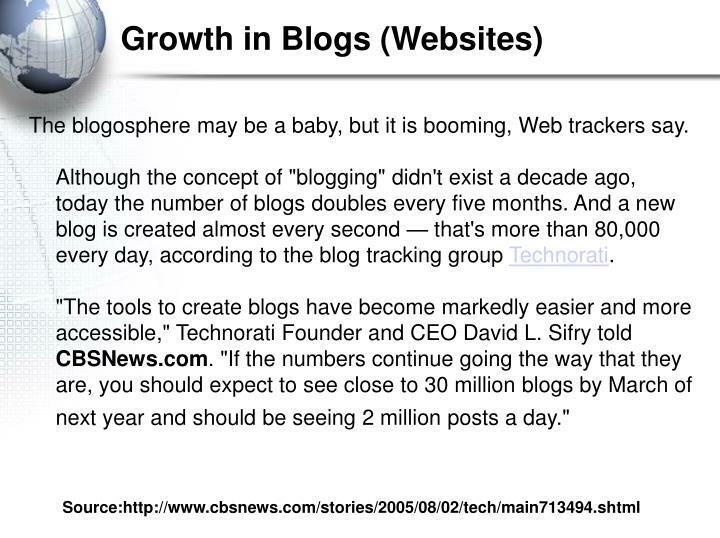 "The tools to create blogs have become markedly easier and more accessible," Technorati Founder and CEO David L. Sifry told CBSNews.com. "If the numbers continue going the way that they are, you should expect to see close to 30 million blogs by March of next year and should be seeing 2 million posts a day." 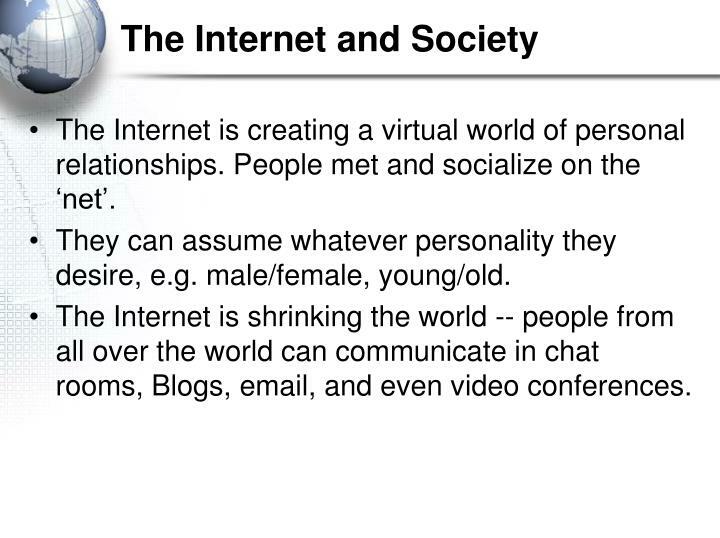 The Internet is creating a virtual world of personal relationships. People met and socialize on the ‘net’. They can assume whatever personality they desire, e.g. male/female, young/old. 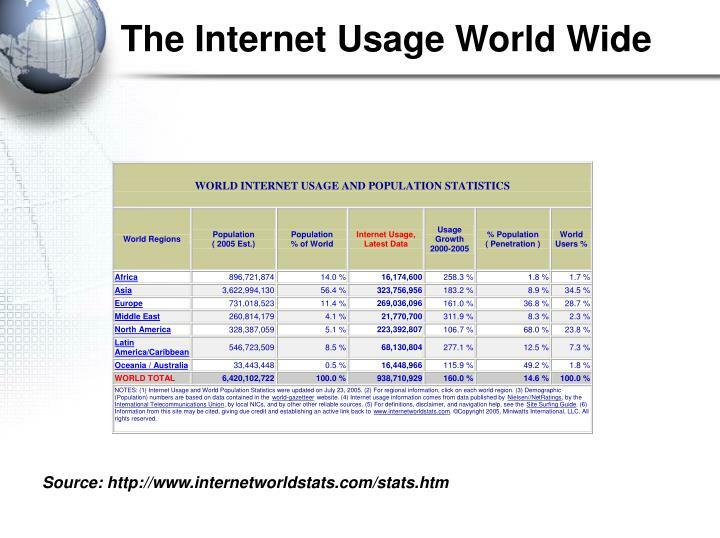 The Internet is shrinking the world -- people from all over the world can communicate in chat rooms, Blogs, email, and even video conferences. The Internet is a key technology in globalization. 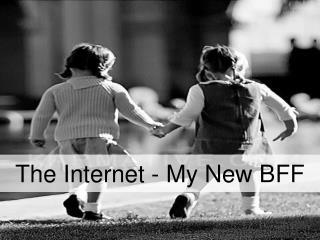 Blogs and online news is changing the way people get their news. Online shopping is creating new channels for marketing and sales. Supply chains are shorter and more efficient. 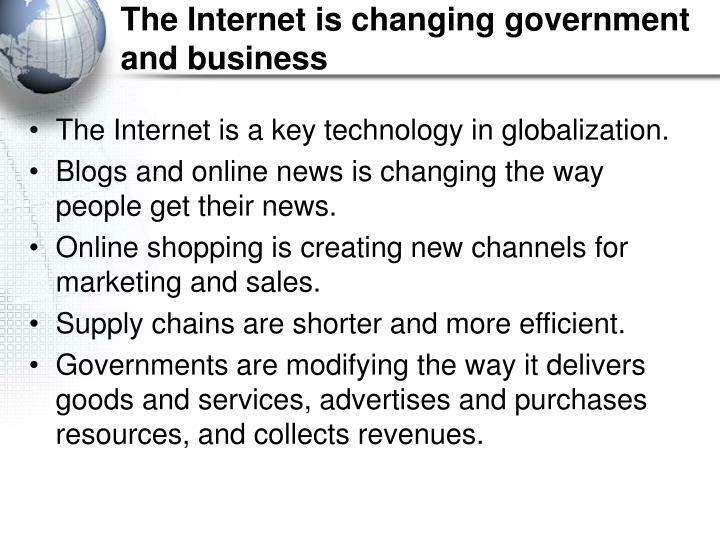 Governments are modifying the way it delivers goods and services, advertises and purchases resources, and collects revenues. 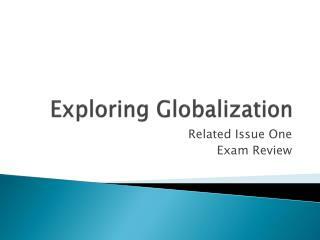 Exploring Globalization -. related issue one exam review. 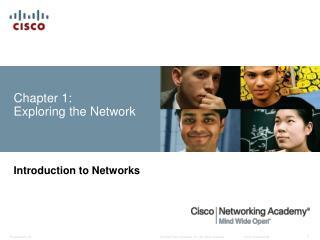 chapter one: globalization and identity. 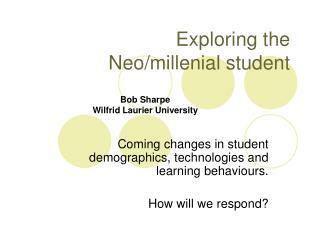 factors that shape who you are: family friends language history role models activities heritage. chapter one: globalization and identity. 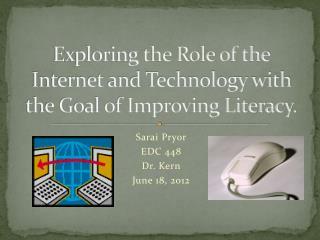 Exploring the Role of the Internet and Technology with the Goal of Improving Literacy. 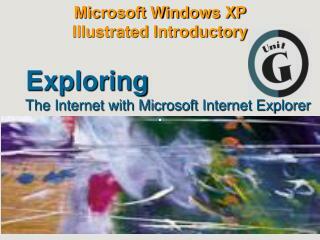 -Exploring the role of the internet and technology with the goal of improving literacy. sarai pryor edc 448 dr. kern june 18, 2012. 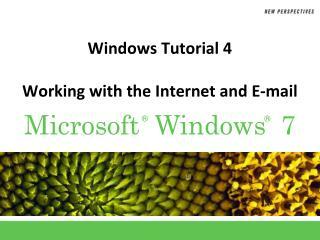 Internet resources & microsoft word -Internet resources &amp; microsoft word. 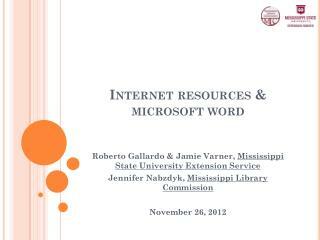 roberto gallardo &amp; jamie varner, mississippi state university extension service jennifer nabzdyk , mississippi library commission november 26, 2012. 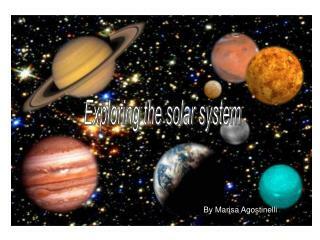 Exploring the solar system -. by marisa agostinelli. topic web. 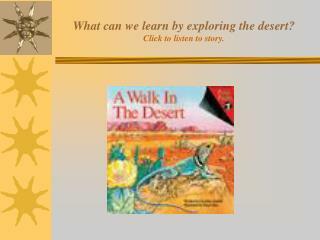 listening to/reading a story and reference books, labelling pictures,writing or completing descriptions. arts and crafts. language. science. making a poster of the solar system.